Happy Independence Day to all our American Followers! 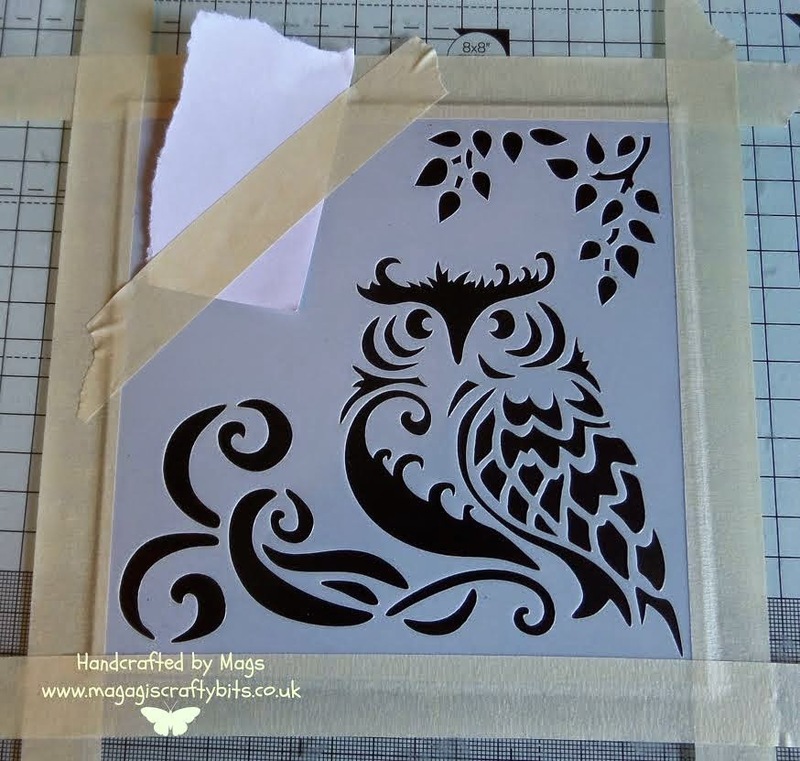 Another very detailed tutorial from Lindsay today, you may need to grab a cup of tea as this is a photo heavy tutorial which we hope you will like. 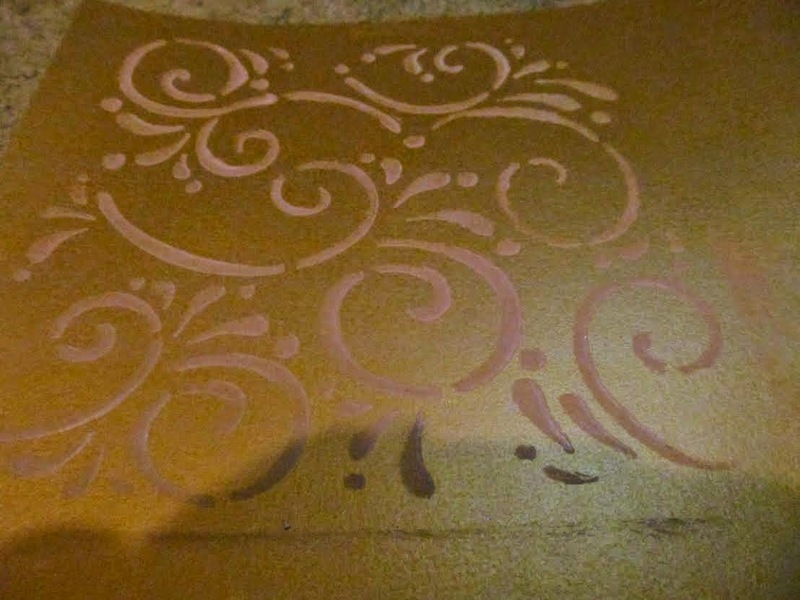 First I took a piece of gold card, placed the flourish stencil on it and sponged acrylic paint through the stencil. 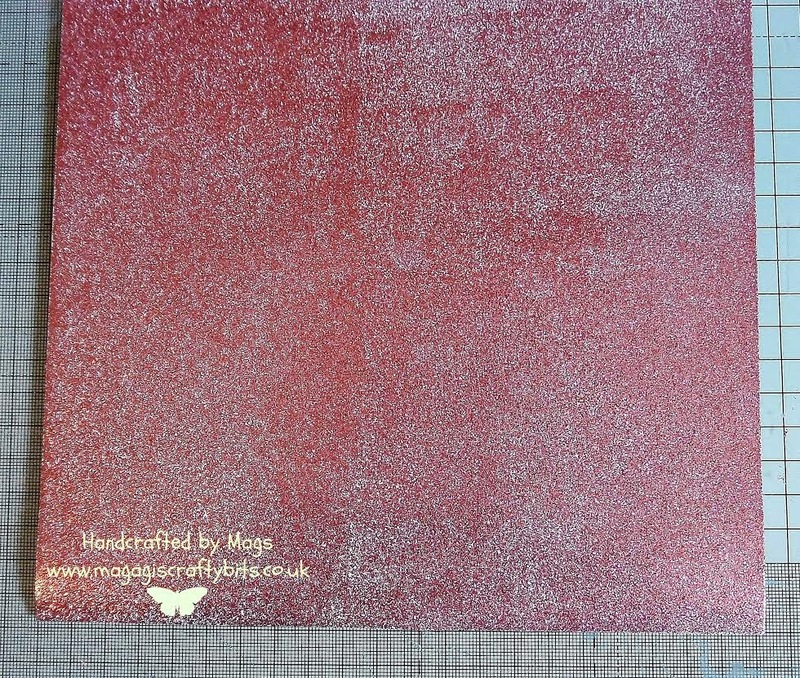 When the paint dried I then laid the window stencil over the top of the painted area and used a palette knife to spread on antique bronze glitter medium. 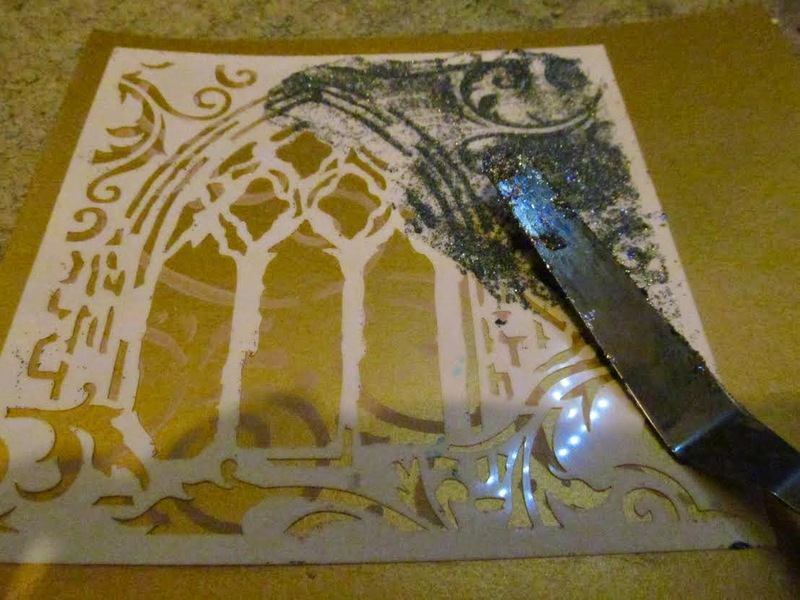 Then I took a piece of silver card and used the window stencil and a palette knife to spread on black stars glitter medium. 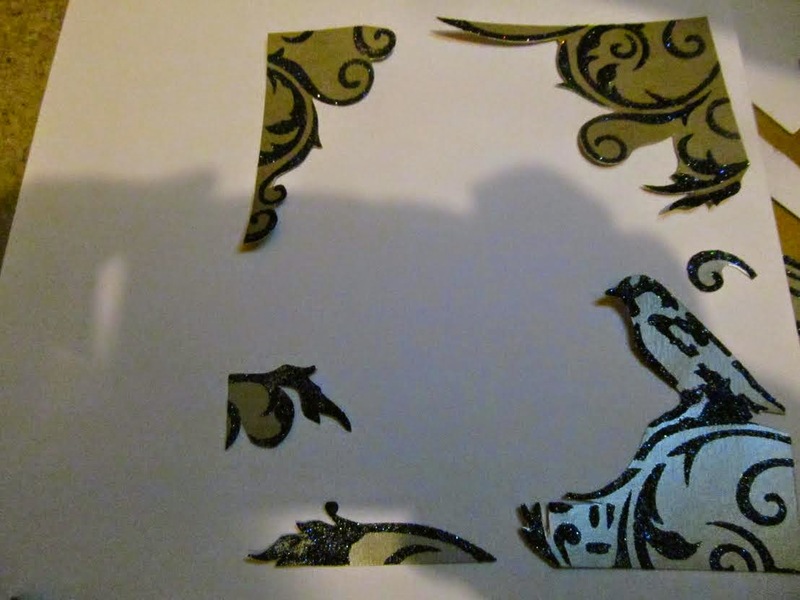 When it was dry I cut out the bird and the leafy flourishes from the edges of the silver and black image. 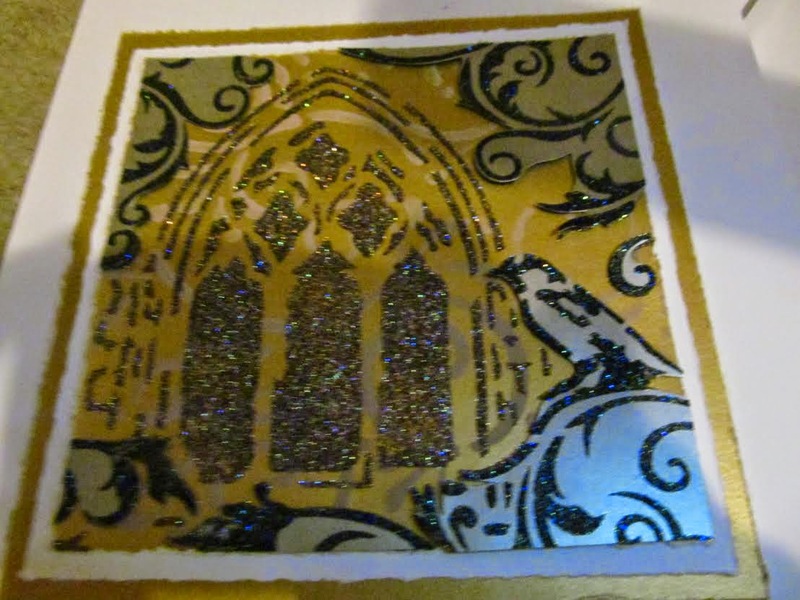 I then layered the pieces on to the matching areas of the stencilled image on the gold card and then matt and layered the whole thing on white and gold card. 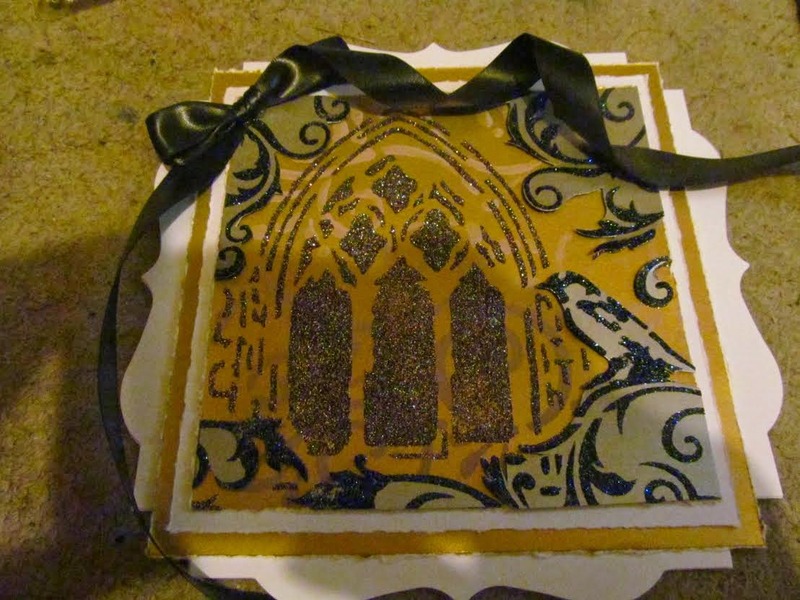 Finally I stuck the image to a shaped card blank and then tied some satin in to a bow leaving long tails of ribbon, stuck the bow in place and then turning the ribbon and sticking the underside of it to the card I used the ribbon to frame the image. Thank you for visiting today and we hope you enjoyed this tutorial. 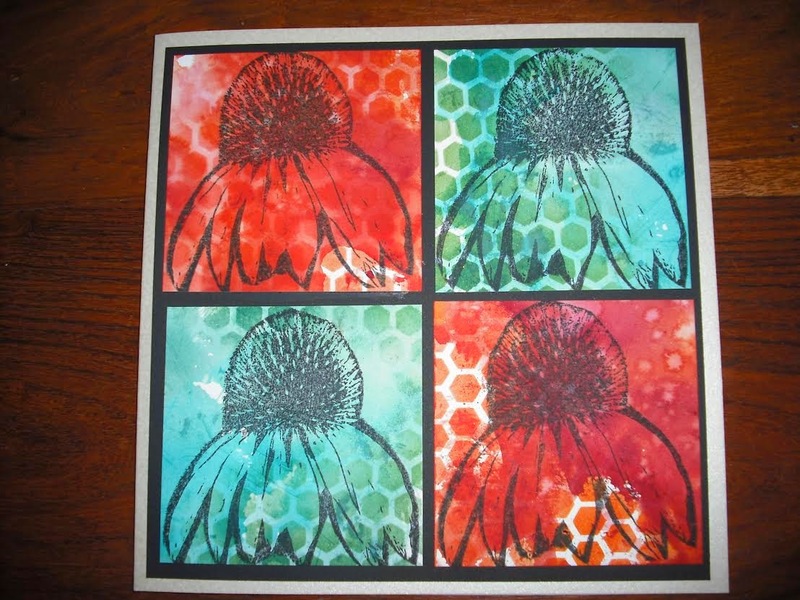 Today's tutorial is by Rachel and is quite funky, we hope you like it. 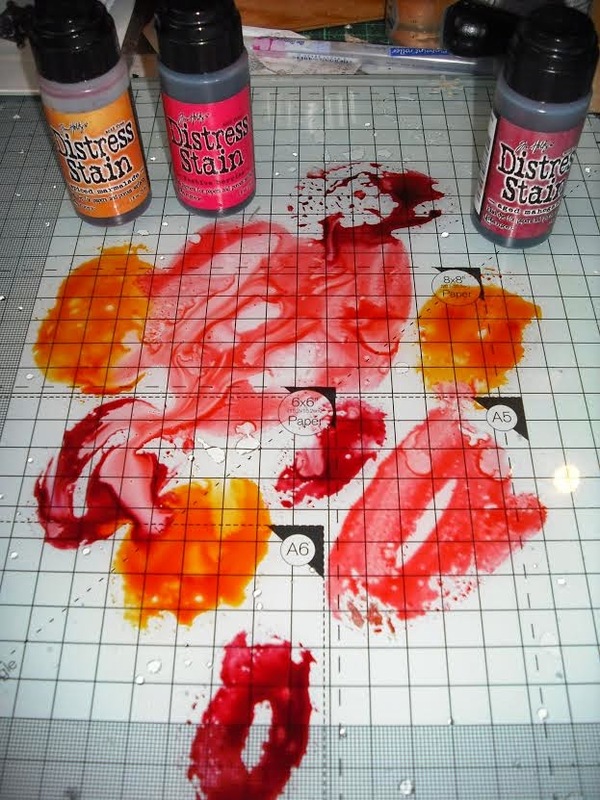 Apply distress stains to craft mat. Spritz with water and wipe card into the ink. Spritz more and continue until you are happy. 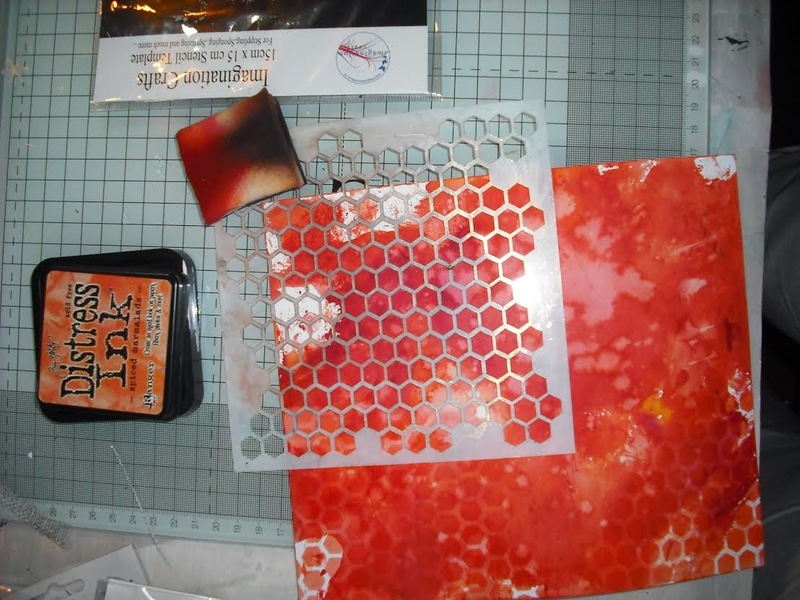 Dry and add distress inks. 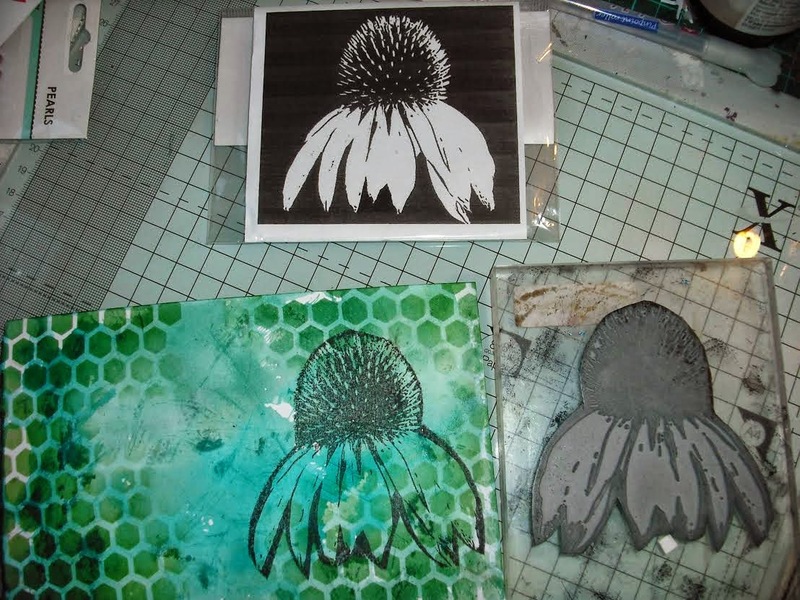 Use imagination Crafts Stencil to add more distress ink to the background. We hope you have all had an enjoyable weekend. Apologies for not announcing the winner of our blog candy yesterday. Congratulations, could you please email Linda with your details so that your prize can be sent out to you. 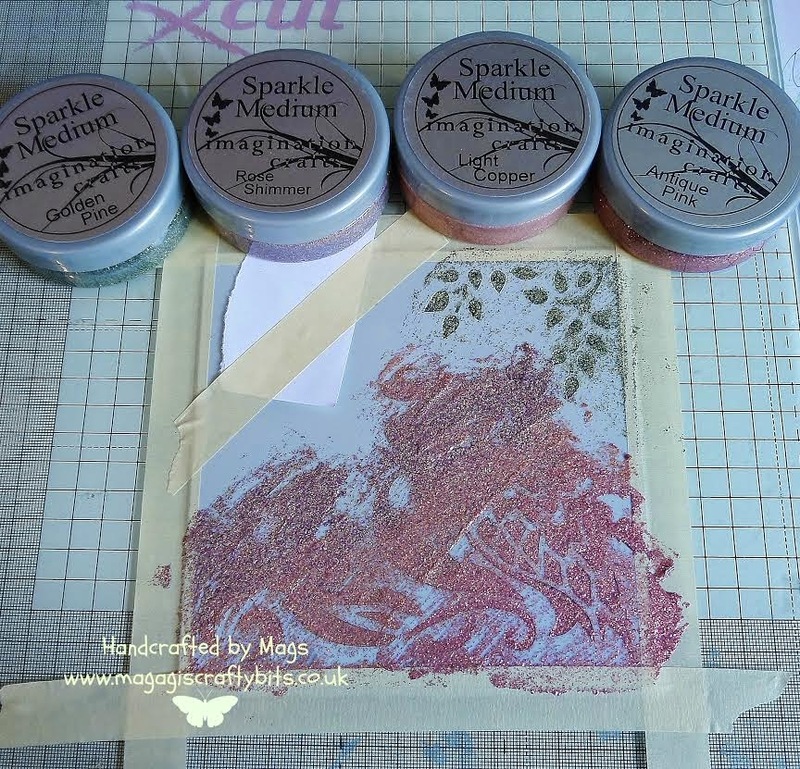 Today we are sharing Mag's tutorial with you. 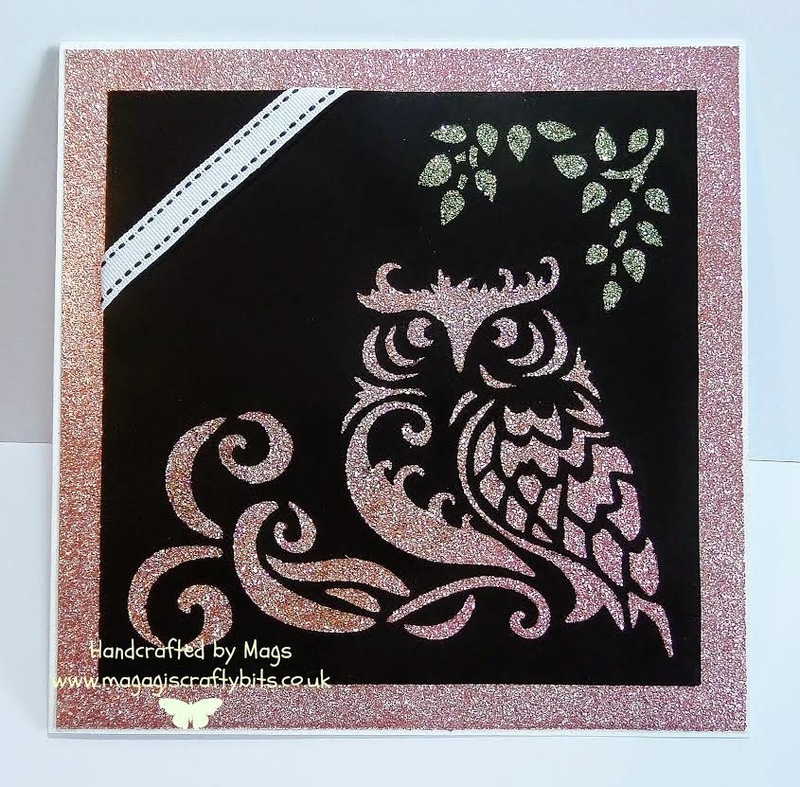 Using the moonlight owl stencil I masked off the moon as I did not want that on the final card. 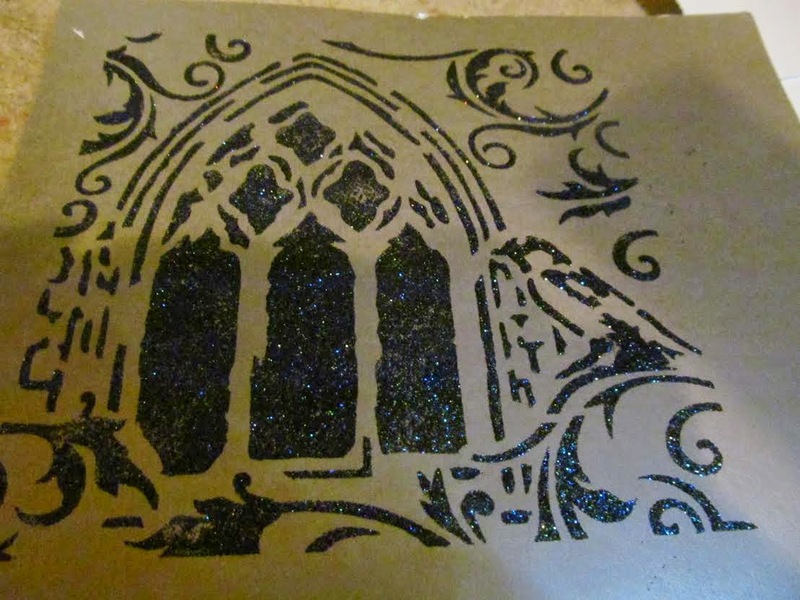 Apply sparkle medium through the stencil. 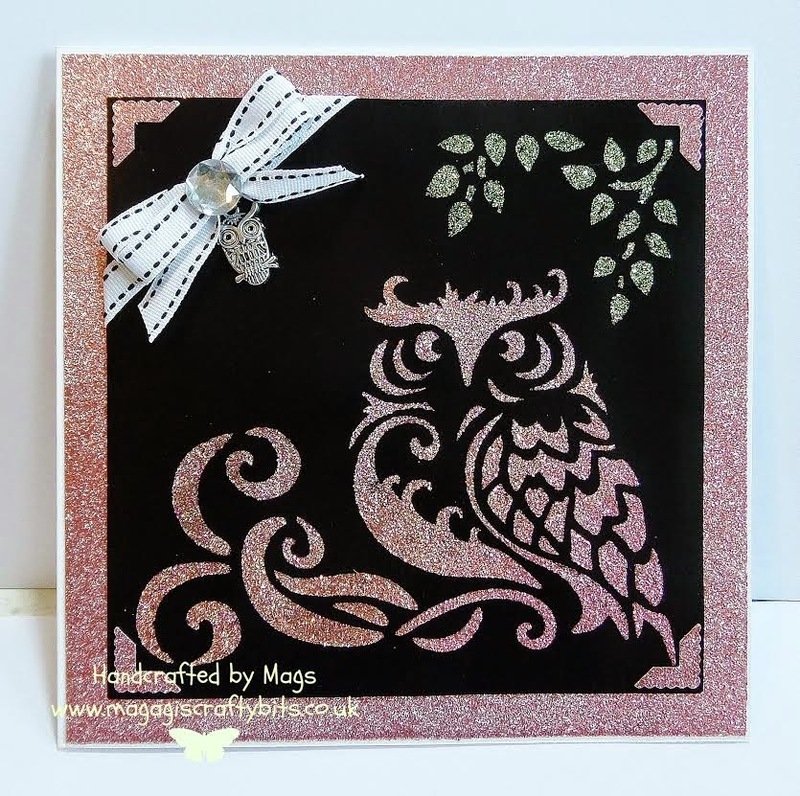 I used golden pine for the leaves and rose shimmer, light copper and antique pink for the owl. The colours are very similar but I wanted a subtle colour change effect. 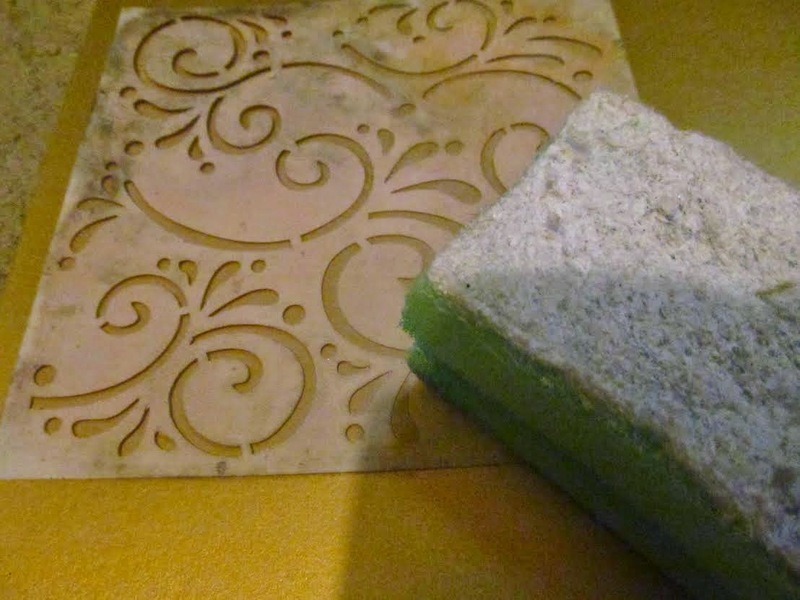 While this is drying brayer some antique pink sparkle medium onto white card to make coordinating glitter card. 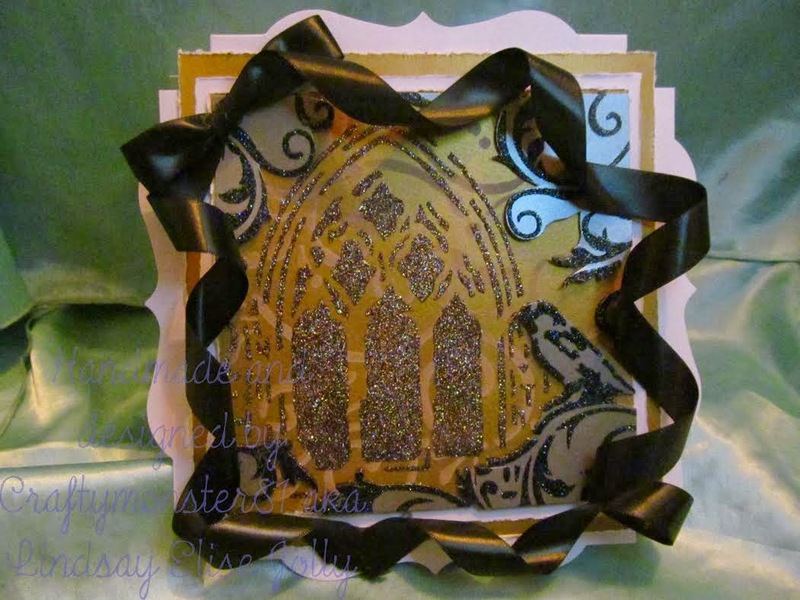 Using a 7 x 7 card blank matt the image onto the glitter card attaching a strip of white ribbon across the top corner. Add a bow and owl charm to the ribbon. 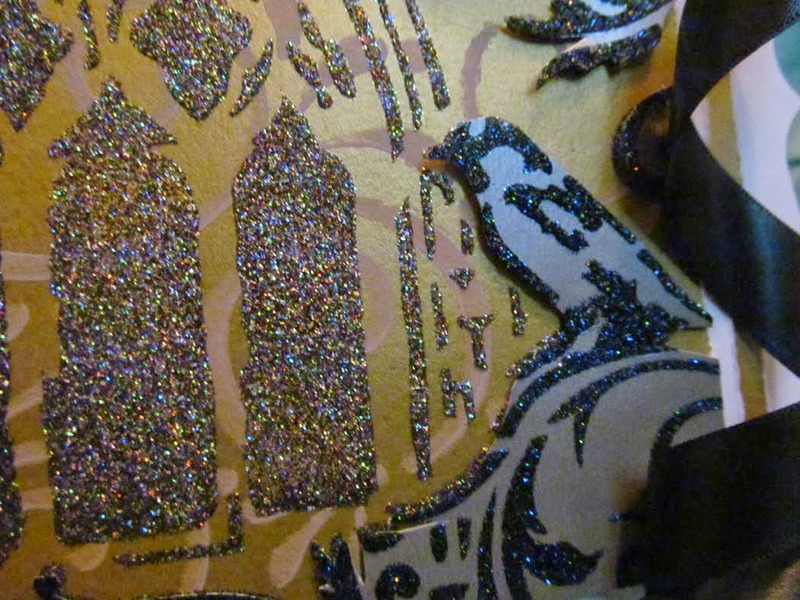 Punch some glitter corners and attach to each corner of the image. We hope you have enjoyed this tutorial. Until next time have fun!